You love diamonds, but don’t want to pay retail. Have you considered buying from an online auction site? 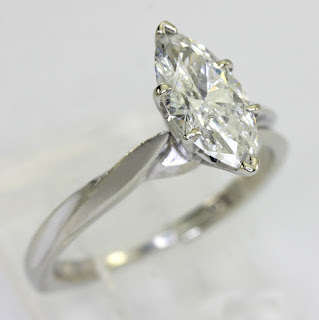 Of the many online sellers of diamonds, whom can you trust? 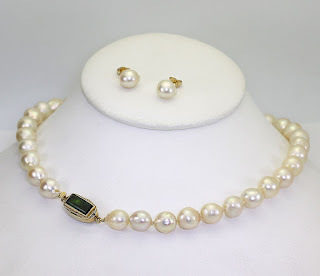 Adina Jewelers is proud of our long-standing relationship with eBay. Here’s why. 1. Average of 50% off retail. When buying a diamond, paying retail can be cost prohibitive, both in-store or online. Purchasing a comparable, pre-owned, diamond through an online auction on eBay is the smart way to get what you want without paying fullprice. 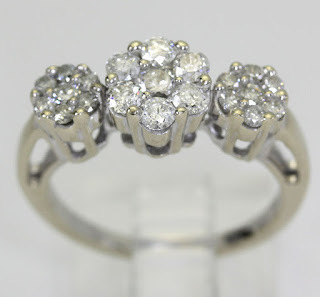 Diamonds on Empire Jewelers’ eBay site, for example, typically average 50% less than retail. 2. Consumer protection policies. In addition to costsavings, a smart consumer also must know that their purchase is protected, should they be dissatisfied for some reason. eBay has a number of consumer-friendly safeguards in place. One of the most telling is the “positive feedback” rating. This numbered rating is based on various buyer’s feedback on the seller regarding their purchase transaction. Criteria include “item as described,” “communication,” shipping time,” and “shipping and handling charges.” Obviously, the more positive feedback a seller has, the better you should feel about buying from them. If a seller has a less than 98% positive feedback score you may want to avoid that seller. 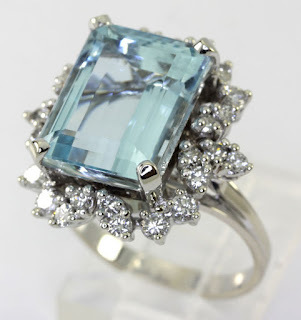 Empire Jewelers’ eBay store has a 100% positive approval rating in the last 12 months. 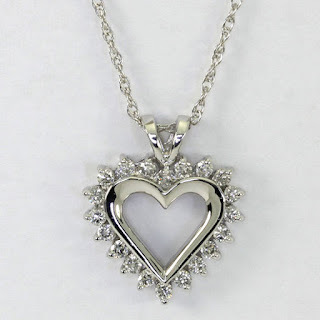 eBay also has a no-risk policy: If you do end up buying a diamond you are not pleased with due to the seller or quality of the diamond, or other reason, eBay has a 100% money-back guarantee. If your purchase was covered by eBay Buyer Protection, and you contacted the seller and they did not satisfy your request, eBay’s customer support specialists will work with the seller to resolve the issue on your behalf. If you still do not get satisfaction, eBay will refund your full purchase price plus original shipping. 3. You can refine searches. When searching on eBay for diamonds or other items, there are multiple ways to refine your search, which helps narrow down results and increases your chances of finding exactly what you want. In the “advanced search” option, use the “exclude these words” function. Enter words like “zircon, “enhanced,” and “lab” to make sure you’re only searching for real diamonds. You can also view results as a list or in gallery form. Be sure to use the “sort by” functions to narrow down auction time and price options. Before buying a diamond on eBay or anywhere else, make sure you buy only a “certified diamond” that has been appraised by a reputable GIA-trained or certified appraiser. In the ‘40s and ’50s, the Gemological Institute of America (GIA), an educational and research non-profit organization founded in 1931, developed the “4Cs” and the GIA International Diamond Grading System™ to objectively compare and evaluate diamonds. Today, even if you buy or sell a diamond in another part of the world, the jeweler will likely use the same GIA grading systems. Carat: Signifies the weight—not the size—of the diamond. One carat is equal to 200 milligrams. 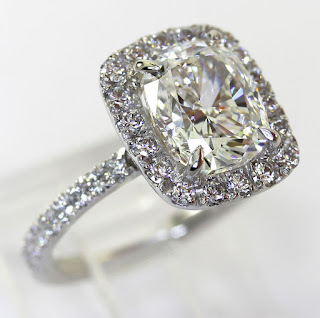 Since heavier diamonds are rarer than smaller diamonds, the heavier the carat weight, the higher the value. The opal is an ancient mineral known as petrified silica gel that are found near the earth's surface where geothermal hot springs once existed. 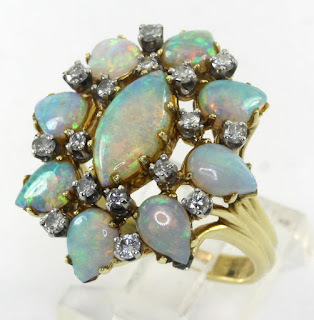 Many opals contain a rainbow-like iridescence known as "opalocka,” which changes the colors that appear in the stone depending on the angle it is viewed. September’s birthstone, the sapphire, has a rich history. Blue sapphires have been associated with royalty for centuries. One of the most recognizable pieces is the sapphire and diamond engagement ring given to the late Princess Diana by Prince Charles, now famously passed down a generation to Kate Middleton by Prince William. Test your knowledge of sapphires, and learn some interesting facts about September’s royal birthstone. In addition to being the birthstone for September, what number wedding anniversary do sapphires celebrate? 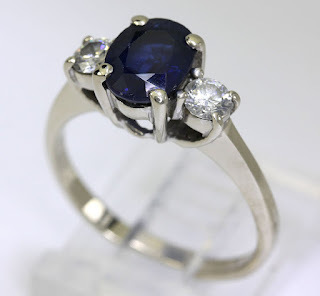 Blue sapphire is a variety of the mineral called corundum. 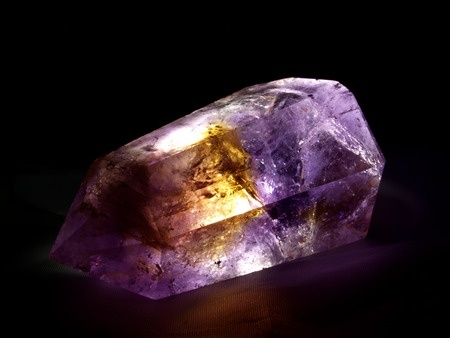 What other gemstone comes from corundum? The blue sapphire is derived from the Greek word, sappheiros. What does the word mean? Sapphires come in many colors. What is the most valuable and in-demand color? The Star of India is the world's largest gem-quality blue star sapphire, and is around two billion years old. In what famous museum is it displayed? On the Mohs scale of hardness, sapphires rate a 9.0. What gem is harder? What did the ancient Greeks believe sapphires were a symbol of? The ancient Persians believed the earth was supported by a giant sapphire and that it gave what its blue hue? According to Jewish midrash, Moses’ sapphire tablets were carved from where? The late Diana, Princess of Wales, famously chose a blue sapphire and diamond ring for her engagement to Prince Charles. Replicas of the ring became so popular with people, that it was given what nickname? Sapphires celebrate the 45th wedding anniversary. Rubies also come from the mineral corundum. The Greek word sappheiros meaning blue stone. Blue sapphires are the most expensive and desirable of all sapphire colors. The Star of India is on exhibit in the Morgan Memorial Hall of Gems at the American Museum of Natural History in New York City. Diamonds are the only gem to rank a 10 on the Mohs scale of hardness. The ancient Persians believed a giant sapphire gave the sky its blue hue. According to Jewish midrash, Moses’ sapphire tablets were carved from the throne of God, making them the most precious gemstone. 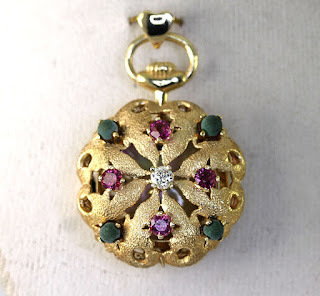 Think you know rubies? Test your knowledge of July’s birthstone with our quiz! Answers are at the end, but don’t peek! The word ruby is derived from what Latin word for red? What does the Sanskrit word for ruby, “ratnaraj,” mean? Ruby is the birthstone for July, as well as what astrological sign? Ruby is the red gem quality form of the mineral corundum, the second hardest natural mineral known to mankind. What is the first hardest natural mineral? What causes the red coloration of rubies? What are all colors of corundum other than red known as? What are pink shades of rubies known as? On what wedding anniversary are rubies given? The finest rubies in the world were once found in Burma in Southeast Asia. What is the country Burma called today? Rubies from the legendary mines in Mogok often have a pure red color. What avian term is sometimes used to describe this color? The most expensive ruby ever sold was an 8.62-carat, pigeon's blood cushion-cut ruby set in an 18-karat gold rectangular mount. How much did it sell for and where was the auction? In ancient times, ruby was thought to give its wearer what? 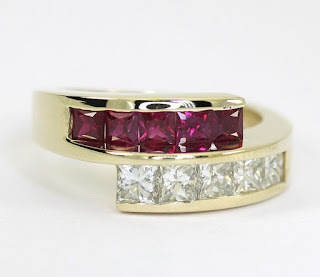 True or false: Rubies are considered more valuable than top-quality diamonds. At the end of the movie The Wizard of Oz, Glinda the Good Witch of the North tells Dorothy she can return home to Kansas by clicking the heels of her ruby slippers together three times and repeating what phrase? In 1960, how did scientist Theodore Maiman change the world with a ruby? Ruby is also the gemstone for the astrological sign of Capricorn. The diamond is the first hardest mineral with an absolute hardness of 1600, four times more than corundum, which has an absolute hardness of 400. Trace amounts of the element chromium is what causes rubies to appear red. Colors of corundum other than red are called sapphires. Rubies in shades of pink are simply referred to as pink sapphires. Rubies are traditionaly given to celebrate both the 15th and 40th wedding anniversaries. Today, Burma is known as Myanmar. The most expensive ruby ever sold at auction was purchased at Christie’s in 2006 for a reported $3.6 million. Ruby was thought to give its wearer good health, wisdom, wealth, and success in love. True. Flawless top-quality rubies are more valuable and rarer than top-quality colorless diamonds. To return to Kansas, Dorothy must click her heels three times and repeat, "There's no place like home." Theodore Maiman invented the world's first laser, known as the "ruby laser" in 1960. The first generation of lasers were solid state using a ruby crystal. New Auction Record Set by "Blue Moon Diamond"
Auctioneer David Bennett called the Blue Moon the "highest price per carat" ever obtained for any kind of stone, and the diamond set a world record for any jewel at more than $4 million per carat.